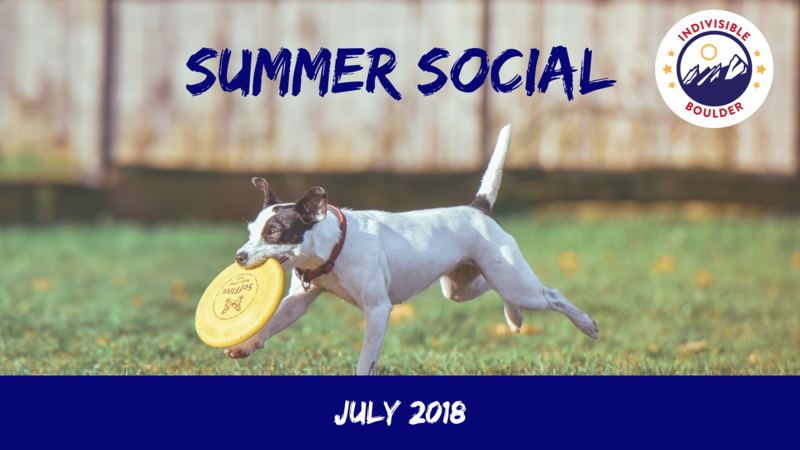 We are so excited to host a Summer Social on July 15th! And we want YOU to join us. There will not be any planned programming, just like-minded Boulderites getting together for some community fun. We are also inviting other progressive groups in Boulder County to join in the fun! This is a family affair, so bring your whole family and neighbors too! Bring any lawn games you have like corn hole, kites, frisbees, baseballs & bats, bikes, etc. Feel free to bring a dessert too! While we are not providing alcohol, we did get an alcohol permit for the event. So BYOB! Be sure to read Boulder's requirements on alcohol with this permit HERE. We are looking to have the food catered, thus we are asking for donations. Please do not let cost deter you as this is only an ask for donations, not a requirement. We do need to have each person that is coming to register as we will need a head count for the food. We look forward to seeing you this Summer!! !